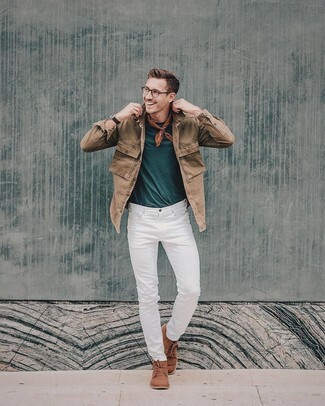 A brown denim jacket and white jeans are a smart combination to have in your current lineup. 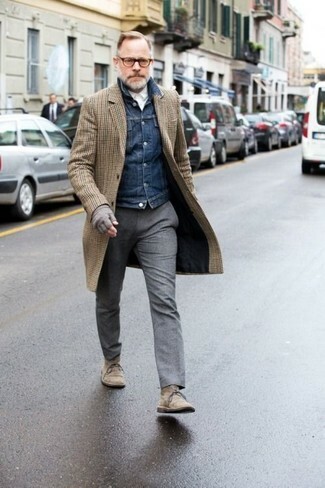 Andrew Marc brown suede desert boots act as the glue that pulls this outfit together. 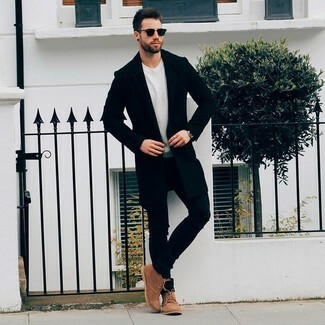 If you're on the hunt for a casual yet stylish look, consider wearing a black overcoat and black skinny jeans. Both garments are totally comfortable and will look great together. When it comes to shoes, this outfit is finished off nicely with Andrew Marc woodside chukka boot. For a nothing less than incredibly stylish ensemble, wear a navy overcoat and charcoal wool dress pants. A good pair of Andrew Marc woodside chukka boot are sure to leave the kind of impression you want to give. If you're searching for a casual yet on-trend look, consider teaming a brown check blazer with white skinny jeans. These two garments are very comfy and look incredible when paired together. 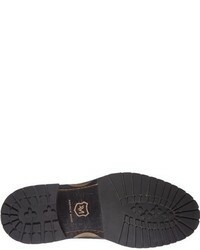 Dress up this look with brown suede desert boots. So as you can see, being a dapper dude doesn't take that much the office. 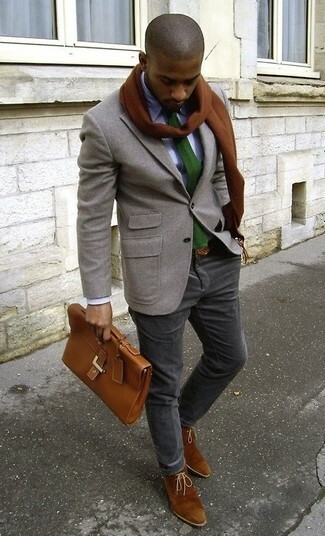 Just go for a grey wool blazer and charcoal chinos and you'll look good. 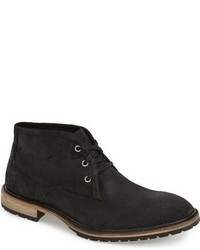 When it comes to shoes, this getup is complemented well with Andrew Marc woodside chukka boot from Nordstrom. 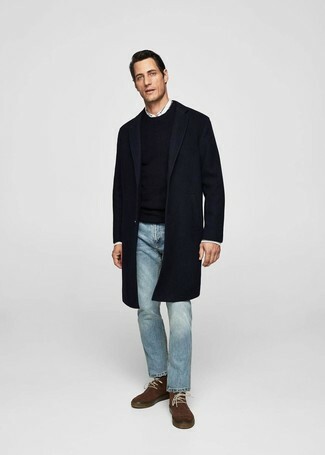 For a smart casual look, wear a navy overcoat with light blue jeans — these items go pretty good together. For something more on the daring side to complete this ensemble, go for a pair of Andrew Marc woodside chukka boot from Nordstrom. 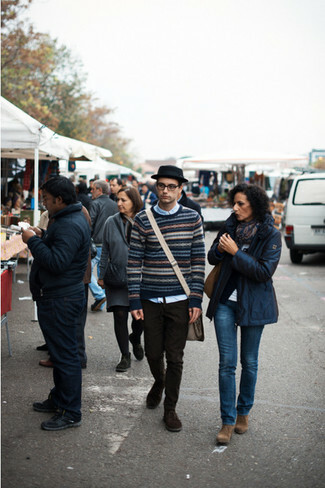 If you're looking for a casual yet sharp look, consider pairing a navy fair isle crew-neck sweater with dark brown chinos. Both garments are totally comfortable and will look great paired together. 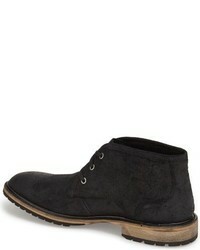 Kick up the cool of your getup by finishing off with Andrew Marc woodside chukka boot. For a nothing less than incredibly stylish look, make a brown check overcoat and grey wool dress pants your outfit choice. 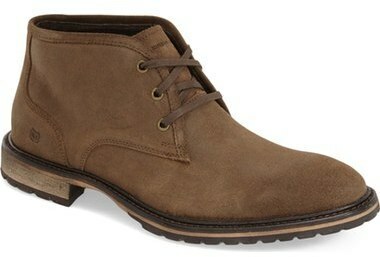 If you don't want to go all out formal, choose a pair of brown suede desert boots. 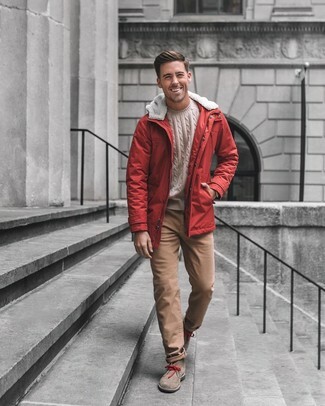 You're looking at the solid proof that a red parka and brown chinos look amazing if you pair them together in a casual ensemble. Give an elegant twist to an otherwise mostly casual ensemble by sporting a pair of Andrew Marc Woodside Chukka Boot from Nordstrom.